Proudly Serving the Greater Victoria BC Area – Saanich, Saanichton, North Saanich, Sidney, Sooke, East Sooke, Metchosin, Colwood, Langford, Highlands, View Royal, Esquimalt, Oak Bay British Columbia. Our WETT Certification Costs for a Level 1 Basic Visual Inspection which uses the following Code Books and Guides are typically $140 plus GST in our trade area. The WETT Certified inspector will then provide a written report for his basic, visual inspection performed without a ladder or specialized tools using WETT’s recommended inspection check list for the type of system being inspected. 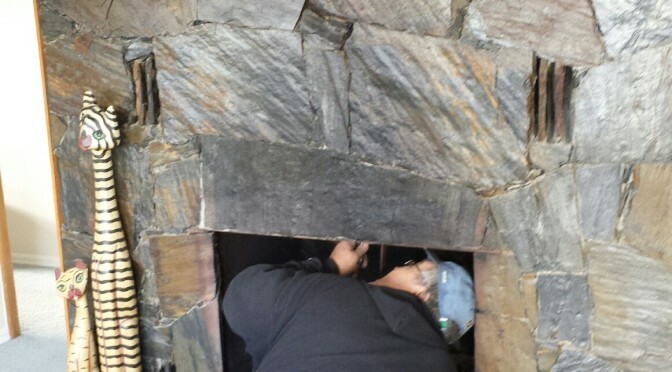 An inspection by someone who is WETT Certified will determine if the wood burning appliance has been installed with the proper chimney equipment and listed chimney components as outlined in the owners manual. 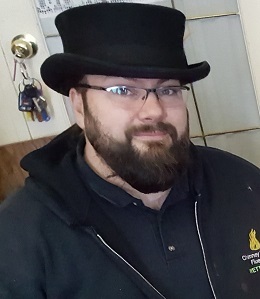 If you choose a WETT inspector who is also an installer or tradesman, he/she will be able to advise as to whether the system can be updated or brought into code compliance with some of the newer Chimney products on the market which have better clearances, fire ratings and performance. Very often, a ‘knowledgeable’ WETT certified inspector can also identify issues which cause improper performance of wood stoves, fireplaces and fireplace inserts like backdrafting and smoking and provide solutions. An inspection by someone experienced who is WETT Certified will also be able to see if you have been utilizng your equipment in the way it was intended and see if your burn habits and firewood are maximized properly. 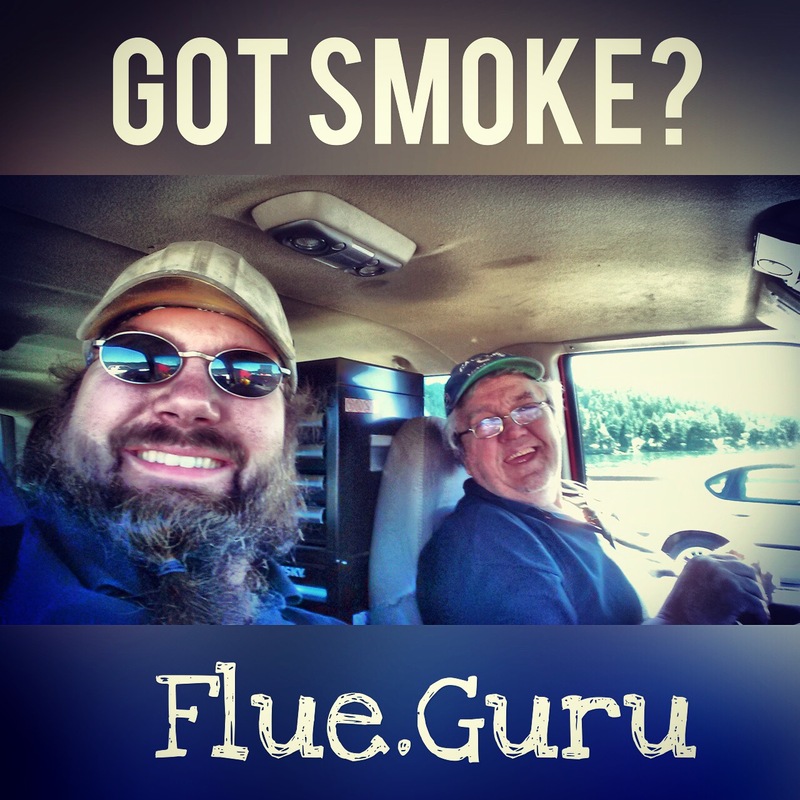 A knowledgeable inspector can give you suggestions as to how to improve your burning skills. 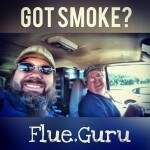 Do you have specific Smoke Problems, Chimney or Wood Burning System questions or Ideas? NOTE: We can also supply detailed custom shop drawings for specific Chimney Crown Flashing with Drip Edge, so you can have an effective and economical solution to many chimney problems made up in your local sheet metal shop. Cost based on consulting and drafting time and materials. Since 1 in every 7 House fires is caused by a wood burning appliance – BC Fire Code and most Insurance Companies Require Annual Inspections & Cleanings on Wood Burning Devices. Depending on type of fuel and your burning habits – it may be necessary to clean your chimney more often than annually – but generally an annual sweep and inspection will remove any debris, creosote, critters or bird nests. Note: We Power Sweep your chimney flue with the latest Technology from the inside or the bottom. In 90% of situations it is no longer necessary to go on slippery steep dangerous roofs. 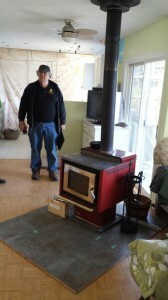 Wood Stove and Wood Burning Insert Repairs. Cleaning and Installations – Specialized tools to protect chimney liner from damages during cleaning. Click to book service call. My insurance company needs a WETT certificate. When can I get can you do an inspection?? It’s Always That Time of Year – Book your Chimney Cleaning Today! BC Fire Code Requires Annual Inspections on Wood Burning Devices. Chimney and Appliance cleaning is often required MORE frequently than annually - depending on your fuel choices and methods of burning. Serving Greater Victoria BC from Sooke to Sidney! Interesting Facts about Unlined Chimneys! Victoria BC, like many communities, has many unlined or poorly lined masonry chimneys from pre 1960's era and we get many - often indignant questions - about them and why they are "no longer considered safe". The answer is they were "never considered safe" and required constant cleaning with stiff fines resulting if the chimney was not cleaned on schedule. Homeowners and tenants were required by law to clean their unlined wood burning systems and chimneys monthly to avoid the disastrous chimney fires which often burned half the village down. Things got a little better around 1920s when masons started to plaster the inside of the chimneys (on more affluent projects) when erecting it to create a better seal and smoother surface - however without rain caps the interior "plaster flue liner" soon eroded and fell out unnoticed, leaving the dangerous cracks and crevices between bricks open to once again catch flammable deposits. The plastered seal that once had prevented combustion air from entering through the mortar joints during a chimney fire was also lost, increasing the intensity of the blaze. Current BC Law stating that "chimneys need to be inspected annually and cleaned as necessary" assumes the wood burning system is a code complaint, properly lined and structurally sound system. "Cleaned as necessary" does not mean annually and falls back to the old days when the onus was on the owner and/or operator to check and maintain their systems on a much shorter cycle. We often see clogged chimneys in good systems occur within weeks when operators are inexperienced, uninformed or misinformed and/or fuel is improperly selected, seasoned or utilized. Lining an unlined chimney system with clay liners is possible but expensive with pricing ranging from $3-4000 and up depending on the length, location and difficulty. Lining a masonry fireplace chimney with a stainless steel liner is a difficult mixture of two different systems and not often advised. Usually the best solution in the case of a fireplace is to add a fireplace insert with its own insulated liner system. Also, adding an insulated stainless steel liner to an existing wood stove or fireplace insert that has been venting into a masonry chimney, creates a "closed loop" flue vent and is a good option as often chimney fires occur in the hidden cleanout area or smoke shelf of this type of outdated system which does not allow operator to control an unexpected blaze by starving the air supply. When relining any system, care must be taken to clean the unlined chimney thoroughly to prevent ignition in spaces in between. A Chimney Sweep is Well Known for Bringing Good Luck - Book Your Appointment Today! Here is a sample video showing how we can clean a wood stove system from the bottom up. Methods vary based on each individual installation. We love the Better Business Bureau and have been members since 1980 with our various businesses. Hi…just a note to say how much I am enjoying my wood stove now that you cleaned it and taught me how to properly light it. Thank you for your patience and guidance. What sounds so minor is sometimes a major issue for some people, and you took the time to explain how my stove works, and what it needs to make the lighting and working quick and efficient. I am now enjoying my stove whereas before, I was more scared of the thing when all I got was smoke. Now I LOVE my wood stove!! If you ever need my referral I would be more than happy to provide it. Thanks very much, Dean. I really appreciate your persistence with this leaky chimney! Hercule Poirot ….the detective in the Agatha Christie stories….I think you should add that name to your title - all the wind and rain we've had over the past week and it remains DRY upstairs! Thanks again, Dean, and best wishes for Christmas and 2016. We added this cute counter Feb 1 2016 to see where our visitors came from.